This is a sponsored post written by me on behalf of Cricut. The opinions and text are all mine. Happy Wednesday friends! Over the last couple months, I’ve been sharing about the new Cricut Maker on my InstaStories and I also gave you a sneak peak of it in my Smart Cookie Teacher Gift post. But, today I wanted to just get down to business and go over the Maker and why I love it so much! First off, let’s establish that until recently I honestly would have NEVER called myself a crafter! In fact if someone even referred to my blog as a craft blog, I would immediately correct them that my blog was in NO WAY a craft blog and I would probably have been a tiny bit offended too. haha! That was until I really started using my Cricut Explore Air 2! You guys – within a few days, I WAS CRAFTING! I could take little ideas and make them come to life, with perfect cuts, shirt designs, writing labels, cards, tags, etc. 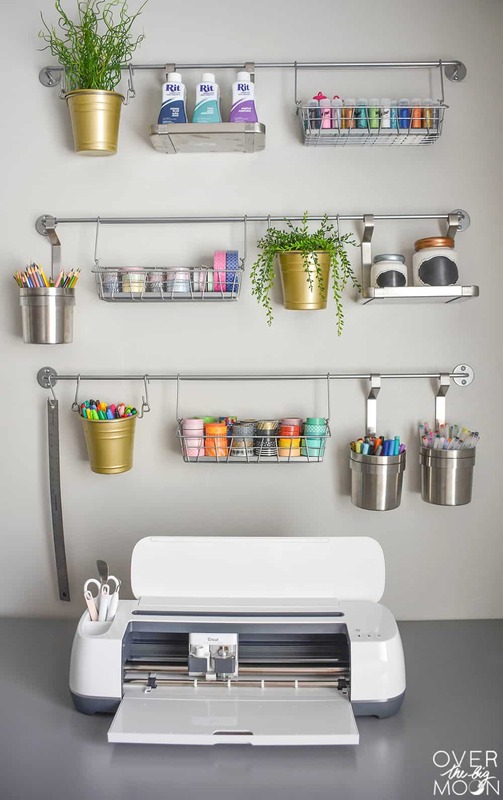 The list could go on and on of all the possibilities of things you can create with a Cricut cutting! 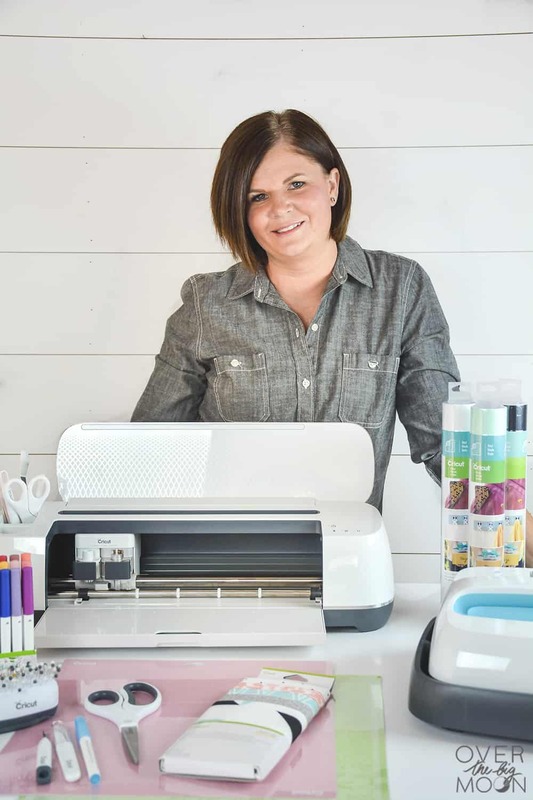 So, back in June, when I went to the Cricut Ambassador Retreat and they told us about the Cricut Maker (and then they made us swear to secrecy) I couldn’t have been more excited! 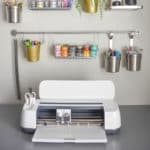 SO, WHAT IS THE CRICUT MAKER? 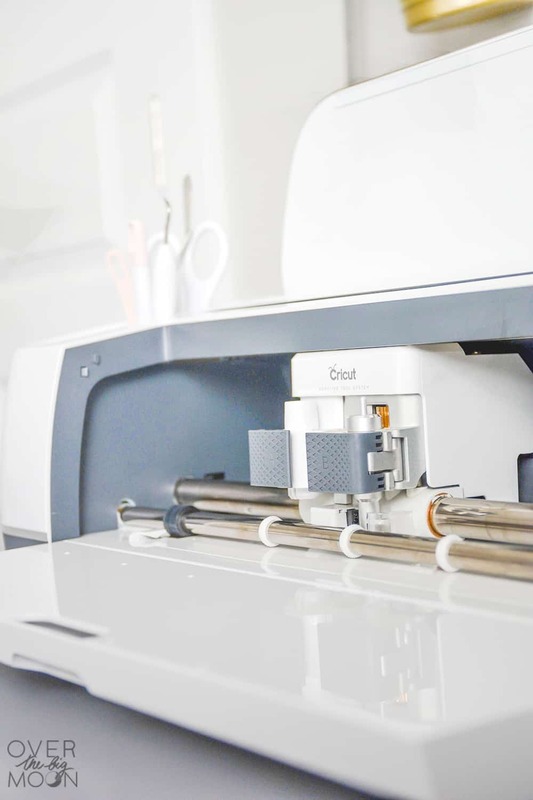 If you’re familiar with the Cricut Explore machines, this is not just an upgrade of it. It is a whole new machine. 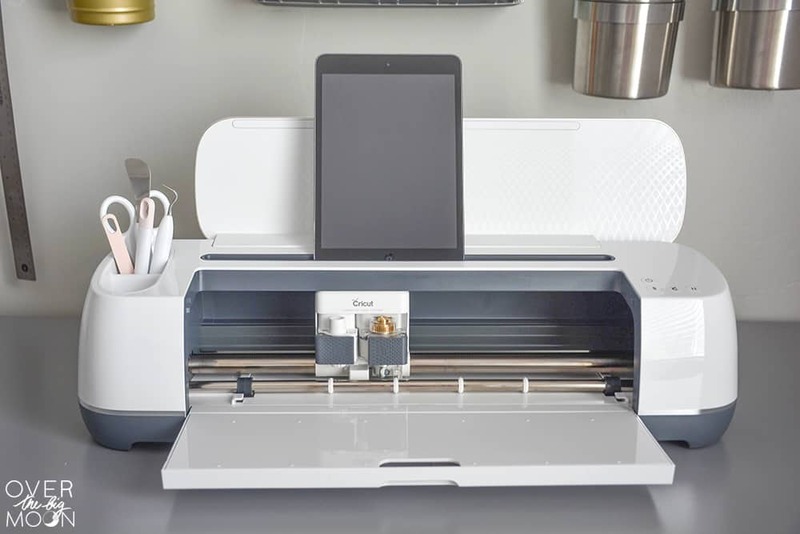 The hardware in the Cricut Maker is an adaptive tool system and has 10x the force behind its cutting than the Cricut Explore’s Cut Smart 2 system. 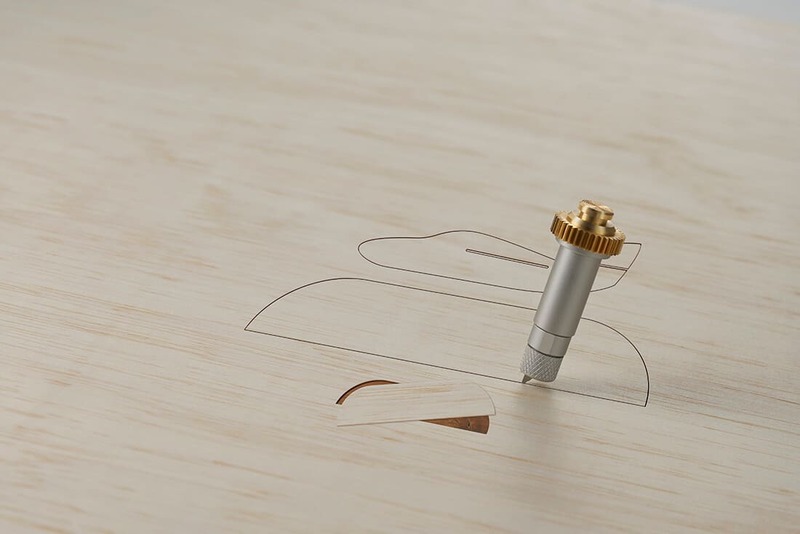 Which basically means it has commercial grade cutting power (for a killer price). It also has the ability to intelligently control your tools, the direction they cut and how much pressure they use. What does all this mean? You will have the capability of cutting WAY more materials! I’m talking 100’s, probably 1000’s as it continues to develop and those cuts will be perfect! This post contains some affiliate links for your convenience. Which means if you make a purchase after clicking a link I will earn a small commission which helps keep my blog up and running. But, this won’t cost you a penny more! 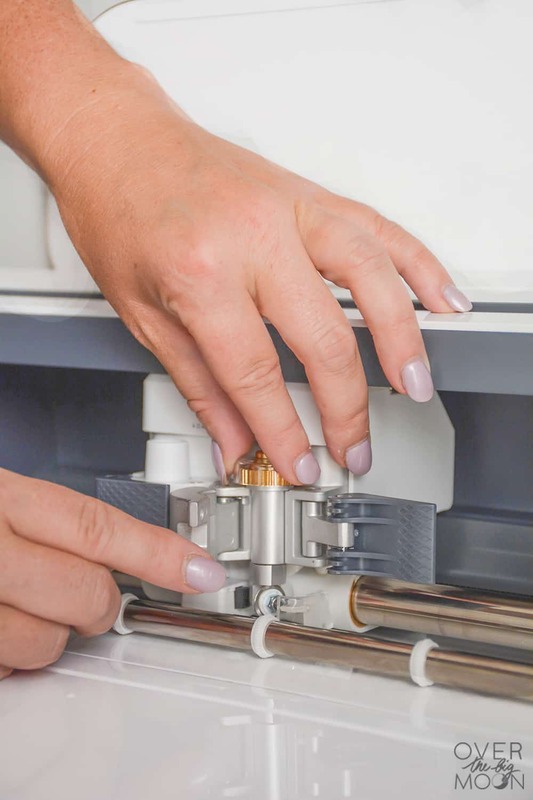 ROTARY BLADE – calling all sewers (or wanna be sewers like me)! I would say the shining star of the new Cricut Maker is the rotary blade. This is literally life changing for people that plan on creating with fabrics. A part of the new adaptive tool system is that some of the blades connect to it using a gear system. That gear system allows the rotary blade to make contact with the fabric and materials at the EXACT angle it needs to in order to cut out the shapes, quilt blocks, etc that it needs to. And Cricut is still testing and adding more materials to Design Space all the time! Also, the Cricut Maker is able to cut all these materials WITHOUT backing material! That means that Design Space will be able to take your patterns, divide them up on the mats for each material and cut it all in 1/2 the time, while utilizing the fabric as efficiently as possible. That means less wasted fabric people!! Cricut did come out with a Fabric mat to use when using the rotary blade. They have them available as a 12×12 mat or a 12×24 mat. 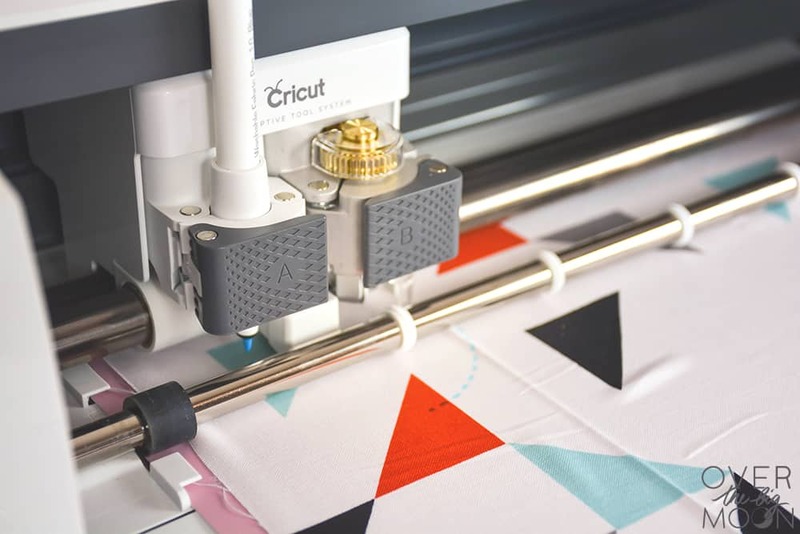 Cricut has also developed a washable fabric pen that you can put in the adaptive system – slot A and it will number your fabric pieces and even draw the seem allowance if wanted! Hello quilters – are you literally crying of joy right now? *Note: the Cricut Maker machine does come with a rotary blade. The washable fabric pen is sold separately. So, in full disclosure, I haven’t gotten my hands on one of these yet. BUT, I have seen it in action and it’s amazing! The knife blade has the capability of cutting 2.4 mm (3/32”) deep! This extra deep blade cuts through dense materials that even the deep cut blade isn’t capable of doing. The knife blade will be able to cut materials such as balsa wood, thick leather, bass wood, mat board and more! I’m especially excited to add some layering to my porch signs. And because of the intelligent adaptive tool system, it has the ability to cut the materials at different pressures. So, for example, the first pass will be done at a light pressure to ensure no cracking occurs in the wood (or material). Then the middle pass will be at a harder pressure, then the third and final pass will be done again with a lighter pressure, to make sure the back side of the wood doesn’t crack either. The knife blade will be sold separately and is expected to be available Oct of 2017. 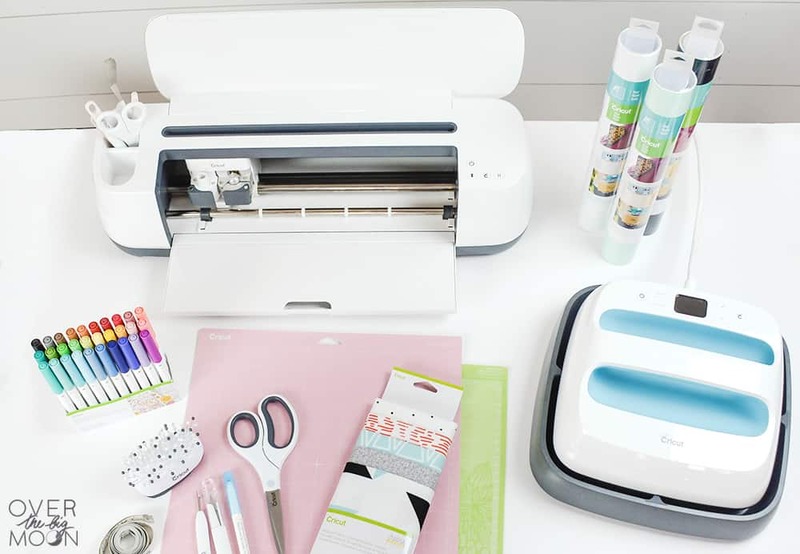 Cricut put a lot of thought to make your DIY experience better with the Cricut Maker. 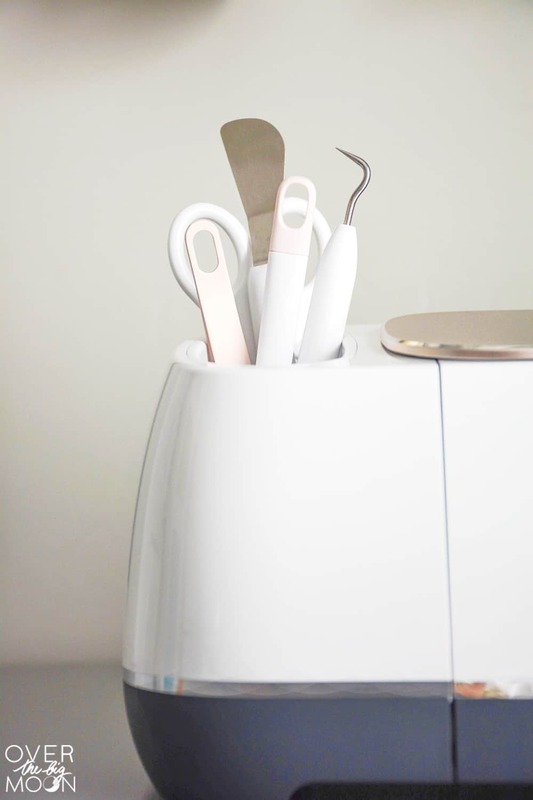 There is extra built-in-storage for you to organize tools, etc. The tool compartment on the left side of the machine is now deeper. They also removed the smart dial. Because, the Cricut Maker can cut SO many materials, there was no way they could fit those all on a dial. You now choose your material in Design Space! They also added a docking slot to hold your tablet or phone. Which his perfect if you love designing on your IOS devices! Or, if you’re like me, it’s the perfect spot to put my iPad with Netflix playing while I cut! They also added a USB port on the right side of the machine, which is the perfect place to charge my phone or plug in the new Cricut Brightpad! 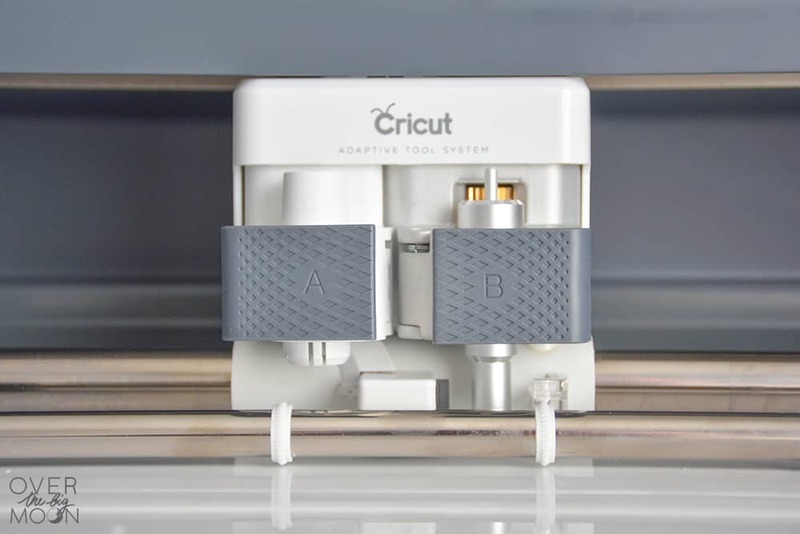 So, what are my two cents on the new Cricut Maker? I love it! I personally think anybody that loves to create will want this machine! It opens up so many crazy opportunities for you to work with materials that you just can’t with the Explore Air 2. Especially if you work with fabric or thick materials! If you only use your cutting machine for paper crafts or vinyl, then you’re honestly probably okay to just stick with your Explore Air 2. BUT, if you don’t have any machine, then FOR SURE go with the Cricut Maker. The adaptive tool system is going to open up the possibilities of other blades and features to be added later that won’t work with the Explore Air 2. Don’t believe me? Check out this video! I thought it would be fun to put the Cricut Maker to the test! I went ahead and played with 25 different materials to see how precise the cuts were and I am not going to lie – I was impressed! Oh and a quick side note! Command strips are your friend! Check out the storage system I finally figured out for my cutting mats! It’s just beautiful, right? I hope this answers any questions you may have! Feel free to email me additional questions at pam at overthebigmoon dot com! Now go get your craft on! I’ve been trying to cut 100% merino wool felt with the maker. It hasn’t been working, and I can’t figure out what I’m doing wrong. I’ve been using the felt, wool fabric setting. Hi…So I have the Cricut Maker….I literally have not made one thing. So frustrated….I love to craft…built and decorated a beautiful space…The maker looks great…too bad I can figure out the design space to make anything. I made the card that was pre programed…that came in the box, Thats pretty much it…I have watched videos…and more videos. The simple task of writing on a card is a 5 hour ordeal… And I just end up writting it by had and throwing in the towel. Can you please advise me on the easiest…best way to navigate design space. I feel like if I had a instruction book…in hand…to read…and review…step by step…? Any advise is so appreciated!! Hey Katie! Design Space can be intimidating at first, but honestly it’s pretty easy once you get past that. I suggest starting with their already made projects that are available within Design Space. Work up to changing customizing them and changing fonts, etc. Then try a project from scratch!! Also, there are SOO many Facebook groups! They will be a great help!! Good luck! Hey Roz! 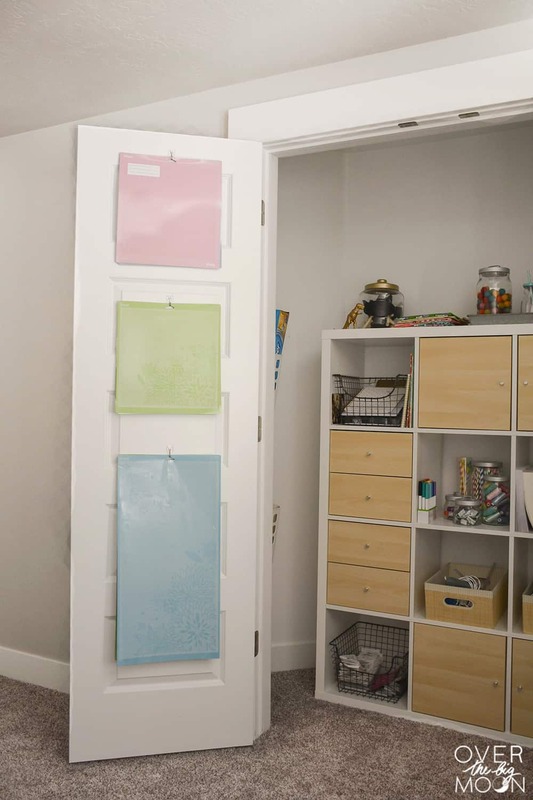 There are tons of places – Michaels Crafts, JoAnn’s, Amazon and Cricut.com!! I’d suggest getting her a variation of Cricut Vinyl, Cricut Heat Transfer Vinyl, Cardstock, etc! If she loves to sew, then you could also get her some of their fabric packs, felt, etc! The pen sets are really fun too! Feel free to email me at pam (at) overthebigmoon.com if you have further questions and I’d be happy to send you some links!